Description: If you want to know how to join multiple text files into one, or combine and merge csv files into one, then this is the software for you! 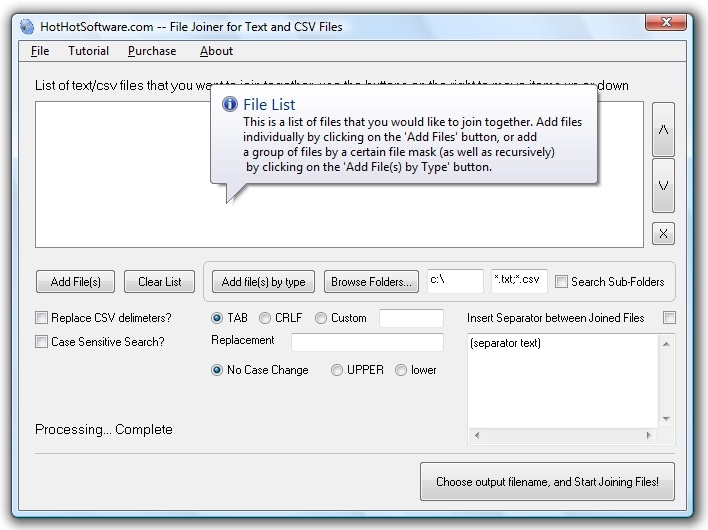 With this software: Easily select a number of different text or csv files to join together, file by file, or recursively, and then concatenate them! font face="verdana,arial" size="